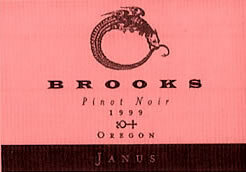 Jimi Brooks was a well known and respected member of the Oregon wine industry for over a decade. He was head winemaker at Maysara Estates in McMinnville and owner of Brooks Wines. He graduated from Linfield College in 1989 and worked in Europe from 1989 to 1995, including a harvest in Beaujolais. Brooks Wines has continued to flourish and is located at 9360 SE Eola Hills Rd, Amity, Oregon 97101. Jimi Brooks passed away in 2004 at the age of 38. Brooks was an advocate of organic & biodynamic farming and passionate about making Pinot Noir & Riesling.